I have been looking at pictures from my high school days and have been horrified at how bad, thin, and nearly non existent my eye brows where. What exactly was I thinking when I would pluck my eyebrows down to nothing and try to draw them back on with a pencil. Now fast forward to 2013 and I'm just happy they grew back and barley touch them due to fear of over plucking them and returning to my teen eyebrow days. I have now been fascinated with eyebrow products and have finally invested in a few brow products that will fill in my eyebrows and provide the illusion of the perfect shape that I desire. I have purchased Mac's eyebrow pencil in Spiked, Mac's Brow Finisher and Mac's Veluxe brow liner in Deep Dark brunette. I use each product daily and each one serves a purpose and is helping me achieve the look I want. Mac's eyebrow pencil- Spiked: is a brow pencil that comes in a tube that propels the product up and requires no sharpening and waste of product. Adds shape to eye brows, defines the eye brow, and naturally fills in any sparse area in the brow without appearing harsh. This product is easy to use, the pencil is buttery soft and easy to work with. Mac's Brow Finisher: Is a slimline wax that holds down unruly long eyebrows into place. 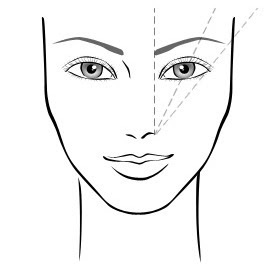 The wax is non sticky and does not leave a hard film on the eyebrow that looks unnatural. When applied to the brow the wax provides a nice polished look on the brow. I tend to apply dark brown eye shadow after I have used this to seal and lock in the look. Mac's Veluxe brow liner in Deep Dark brunette: is a rich powdery formula that is used on the eyebrow to define, fill, and shape the eye brow. Due to the fact this product tends to look a little powdery it makes eye brows appear more natural. The bonus with this pencil is that it comes with a spooly on the back that is useful to combing product through the eyebrows for a natural finish. I enjoy the consistency of the product as well as how it appears but do wish it was a tiny bit darker. After I have finished my Eyebrow pencil I do have my eye on Anastasia Eye whiz but the price is what has held me back from purchasing it even though I have heard rave reviews. Also on my wish list will be the Mac fluid line brow gel cream now that I have improved my technique. Let me know if you are aware of any good products for eyebrows or use any other methods to fill/shape your brows.